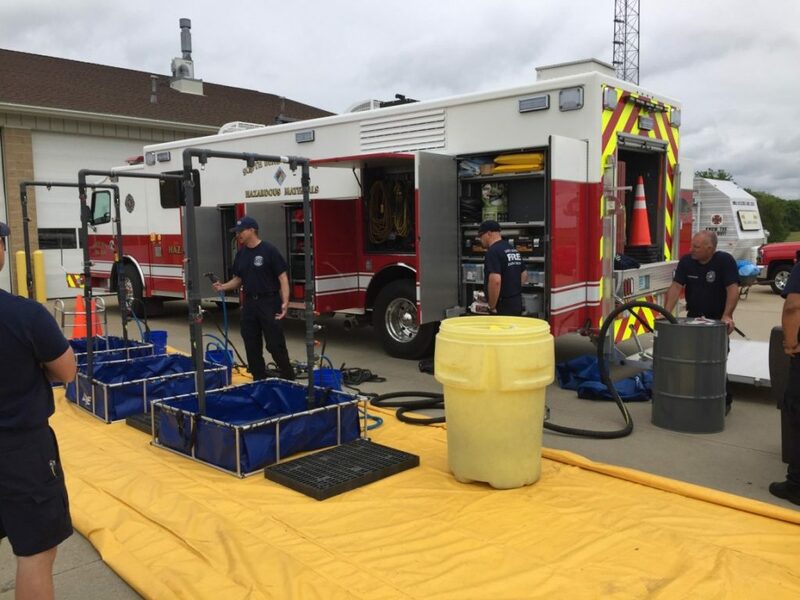 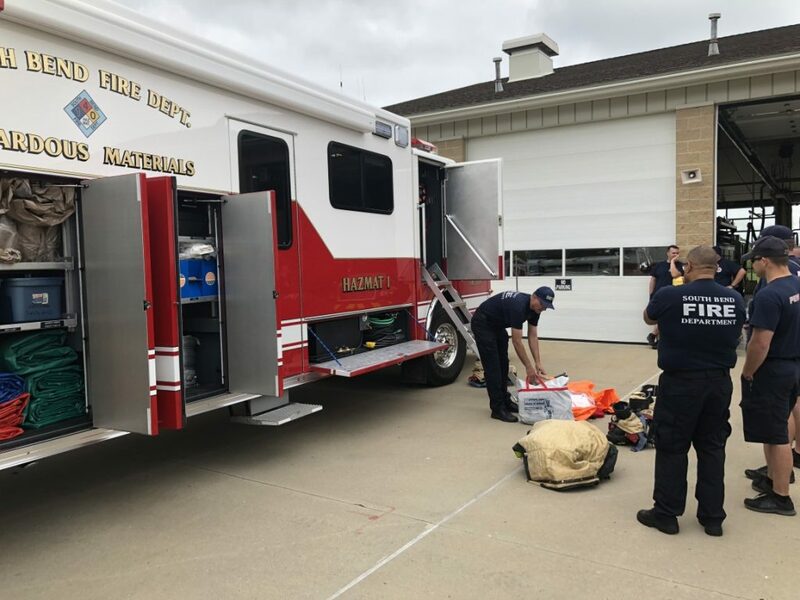 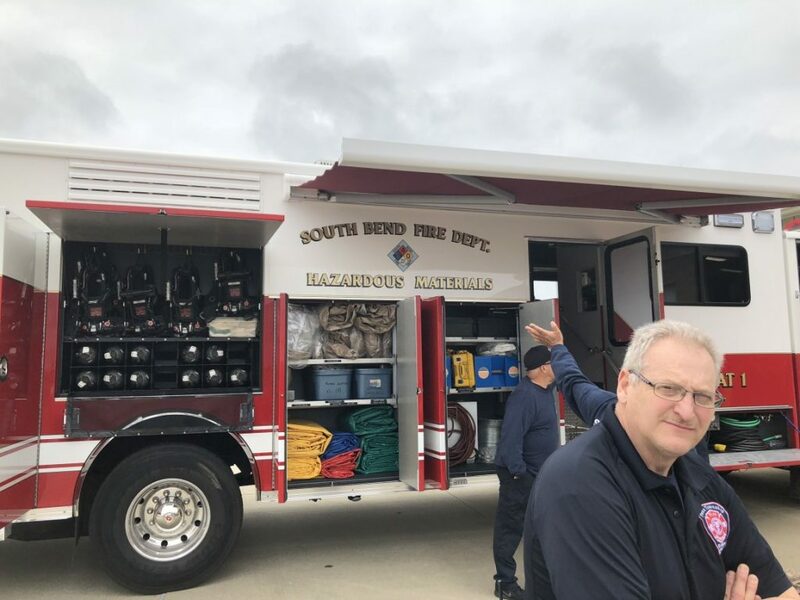 During the month of May, all 3 Penn Fire shifts and both stations trained with the South Bend Fire Haz-Mat Team who serves as our regional Haz-Mat Team through IDHS District 2. 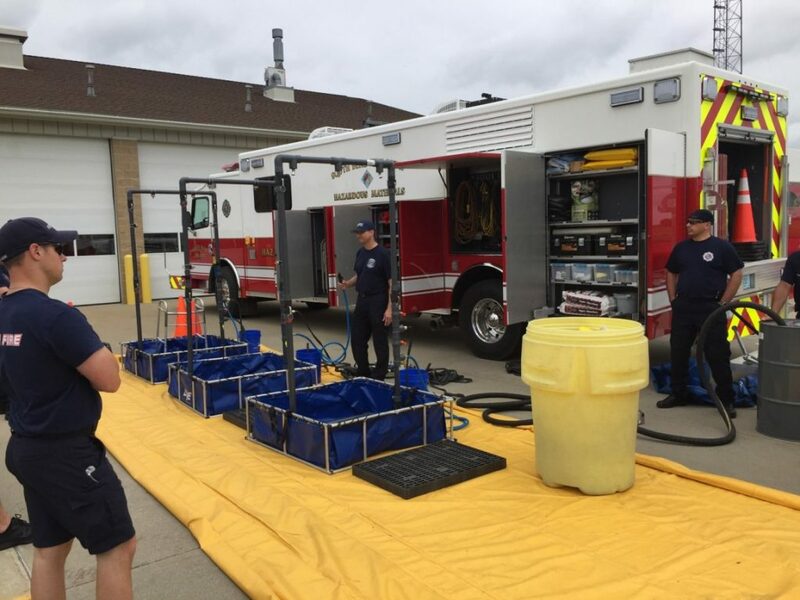 Crews trained on the new SBFD Haz-Mat 1 as well as Decon and operational level skills. 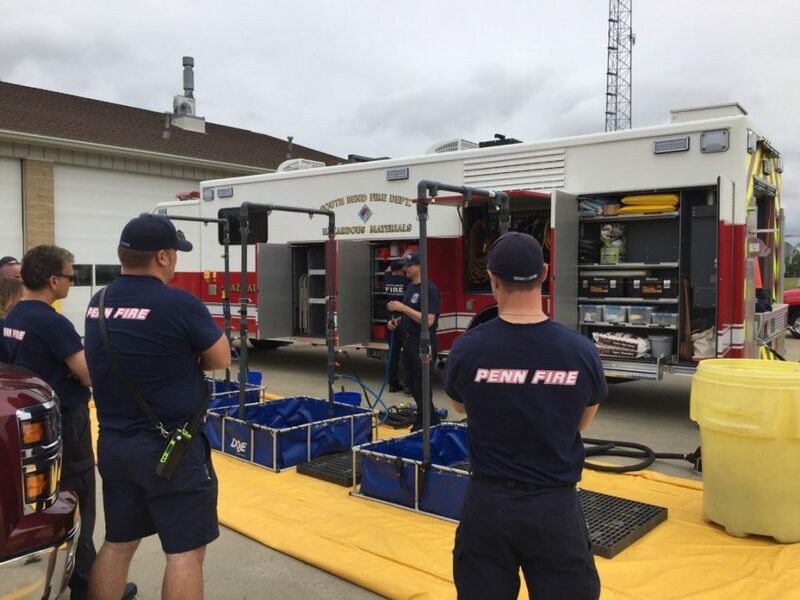 Here are some photos from the drills.